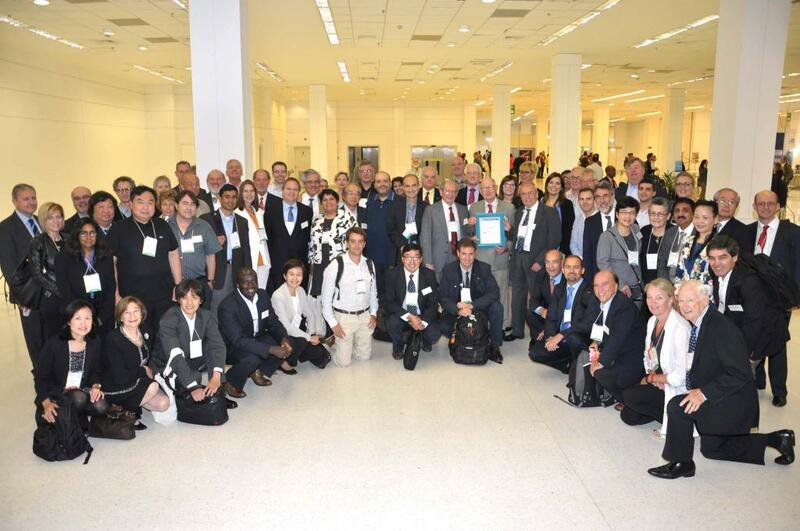 The best of the Australian health informatics community was proudly on show at the Medinfo 2015 15th World Congress on Health and Biomedical Informatics in Sao Paulo, Brazil from 19-23 August, including Dr Louise Schaper (HISA CEO), Dr David Hansen (HISA Board Chair) and a large contingent of HISA members. This international conference brought together the world’s most respected leaders in e-health and biomedical informatics, to share knowledge and discuss how innovations are solving global problems in healthcare, public health, consumer health and biomedical research. Professor Fernando Martin Sanchez from Melbourne University co-chaired the Scientific Program Committee. Of almost 800 submissions across 59 countries, Australia presented a large number of academic papers, chaired sessions and formed part of the review process. A few HISA members also received awards and recognition of their work. 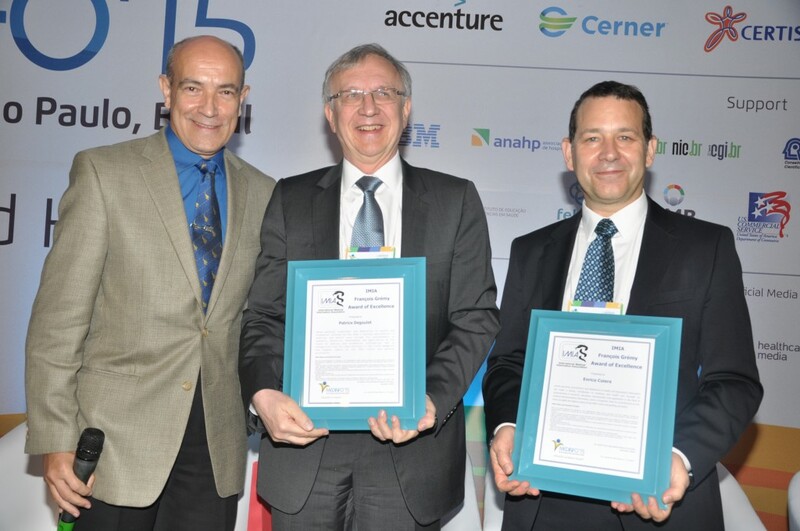 HISA congratulates Professor Enrico Coiera who received the 2015 Francois Gremy Award of Excellence by the International Medical Informatics Association (IMIA) – the highest award in this discipline internationally. “The award signifies that the health informatics community is recognising the importance not just of technology-driven research, but also of research into the ways technology falls short. When technology does not fit with the way we work, it does not always make the lives of patients and doctors easier,” said Professor Coiera. The award highlights Australia’s global research leadership in the use of technology to transform healthcare, a rapidly growing and multibillion-dollar business sector that is critical to making global healthcare safer, more effective and sustainable – a challenge facing all large-scale health systems. 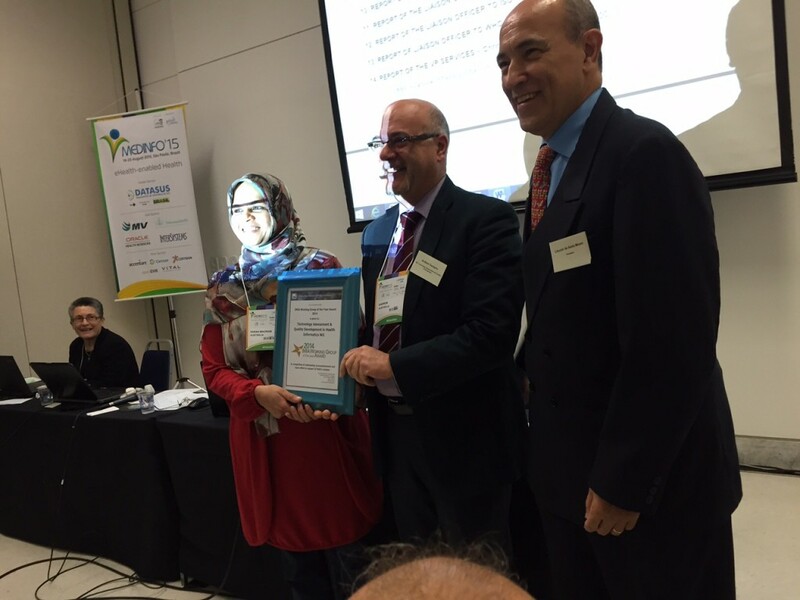 HISA also congratulates Associate Professor Andrew Georgiou and Associate Professor Farah Magrabi who were awarded the 2015 IMIA Working Group of the Year Award for the 2nd time running. Professor Coiera said Australia’s innovations and solutions were a stand out at the conference and paved the way for a bright health informatics future. “I think Australia’s time in the informatics sun has arrived,” he said. 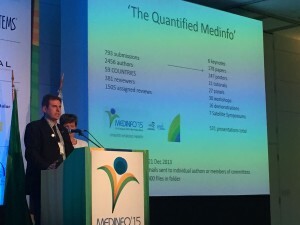 “Australia’s informatics researchers are now well known and influential internationally. We are actively participating in international discussions around professionalisation and accreditation.